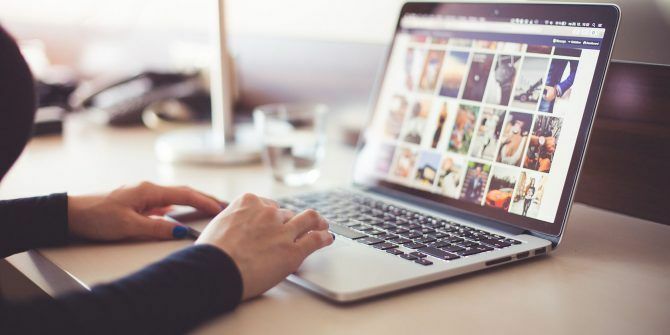 As a photographer, you’re probably using Instagram to showcase your work, but Instagram can’t replace an actual portfolio. 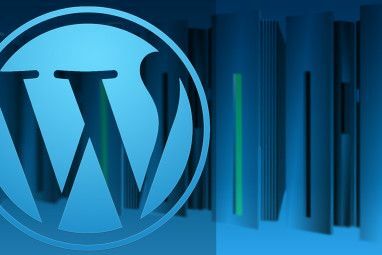 However, using WordPress and one of the many WordPress themes available, you can start your own website in minutes. Not every pre-designed template will make a good backdrop for your photography. Especially not one of the default ones, originally made for blogs. 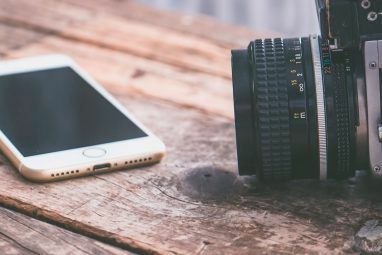 But don’t worry, as we’ve found the best WordPress themes to make your photography portfolio look amazing. Satelite is packed with bells and whistles like video backgrounds and sound effects. But if you’re not a fan of all those decorations, you’re free to cut them and put the spotlight on the images. With a range of options for the homepage, Satellite lets you display your best work in fullscreen mode, set up a smaller carousel, or opt for a classic portfolio grid. The individual project pages allow you to add titles and short descriptions to provide some context for your photography. And with responsive Retina-ready design, your photos will look perfect on any device. This theme for a WordPress-based photography portfolio includes several vastly different, but equally gorgeous, designs. The fullscreen mode with large headings begs for colorful fashion shots, and the clean white grids are a good choice for portraits. But Julie Bernerro is more than a pretty typeface: the template is SEO-friendly, optimized for Retina displays, and fully responsive. Julie Bernerro is compatible with the WPML translation plugin and integrates with Ecwid, an ecommerce plugin for WordPress. So if you need a portfolio in a language other than English or intend to start a merchandising store, this WordPress theme is a solid choice. If your genre is black-and-white photography, Sonya is a great affordable option for your WordPress-powered portfolio. Its asymmetric grids on a white background with heavy black fonts look good enough with color photography, but truly shine with monochrome shots. The Sonya theme may not be as well-equipped as others, but it checks the right boxes; it loads quickly, looks good on mobile, and has a simple blog for your news and announcements. WhiteLight allows you to play with layouts and makes that easy to do with a drag-and-drop page builder. As the name suggests, it’s white and light, so it lets your photography dictate the look of the website. One of the best portfolio themes in terms of functionality, WhiteLight comes with a wide range of modules and plugins for rich content, from calendars and maps to pricing tables and bar counters. Like most WordPress templates for photography and design, Lima provides a neutral, minimal backdrop for your work. The all-black theme calls for some color in the photos, but you could also make it work for monochrome photography. As far as layouts are concerned, Lima hits the sweet spot between giving you choice and giving you choice paralysis. The demo includes four layouts for the homepage, several gallery options, and a couple more ways to arrange a project page. All of them are, of course, mobile responsive and Retina-ready. Addison is ideal for minimalist photography with a heavy focus on geometry and color. It gives you several styles to choose from, all on a clean white background with heavy black frames on hover. Addison offers plenty of custom widgets, so your portfolio can have social sharing, a calendar, and even newsletter subscription. And with clean, SEO-friendly code, it’s a good foundation for your self-marketing efforts. This photography theme will make you feel like a kid in a candy store. It comes with a staggering 38 portfolio layouts, both in black and in white, so picking just one may take you a while. All layouts are ready to import and use, and are easy to customize thanks to the visual website builder. Plus, Phoxy is chock full of helpful widgets like an appointment booking calendar, it integrates with WooCommerce so you can start a store, and it boasts fantastic load speed. With inbuilt photo proofing, client management, and the ability to password-protect certain pages, Kordex is more than a portfolio theme. It’s a fully-fledged website for a contract photographer, combining photo galleries with practical tools. The fully responsive lightbox means your photos will be well-presented even on mobile, and the 20 homepage variations give you plenty of looks to choose from. All of those layouts work regardless of your genre, be it portrait, macro, or landscape photography. Brailie comes with endless combinations of gallery layouts and headers, not to mention the options you have for your blog and shop. Over 50 demos are ready to import, and each of them looks better than the other. Be it full-screen photos framed with black or clean, lightweight grids, Brailie has a look for everyone. They are easy to customize with a visual composer tool, and come optimized for search engines and Retina displays. Kodell is a WordPress theme that works equally well for photography and graphic design. It’s clean, stylish, and has several grid layouts that look best with minimalist photography. Like most premium templates, Kodell is compatible with WooCommerce, letting you build your own store with ease. And its responsive design and social media widgets make sure your fans can seamlessly move between your Instagram and your new portfolio. We hope one of these themes tickles your fancy. 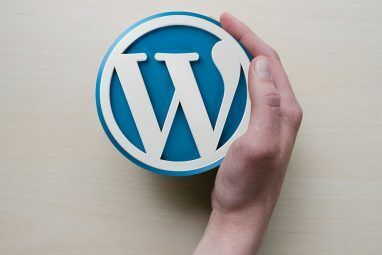 If you’ve got your mind set on WordPress, but don’t know where to start, here’s the ultimate guide to setting up a WordPress website. And if creating a WordPress website from scratch sounds daunting, there are plenty of website builders to create an online portfolio. Don’t have web hosting yet? Use this link for a discount on InMotion WordPress Hosting or this link for a discount on InMotion Shared Web Hosting! Explore more about: Photography, Wordpress, Wordpress Themes. Alice is a technology writer with a soft spot for Apple tech. She's been writing about Mac and iPhone for a while, and is fascinated by the ways technology reshapes creativity, culture, and travel.